In March, Care in Mind are holding an Educational Event in West Yorkshire. This will be the first in a series of events that we plan to host throughout 2019 for our colleagues in the NHS and social care. The events will provide the opportunity to hear from Care in Mind professionals about our specialist model of care and positive outcomes. The seminar will also include a service user’s perspective on the therapeutic risk approach and a panel discussion, as well as the opportunity to network with other professionals in the field. 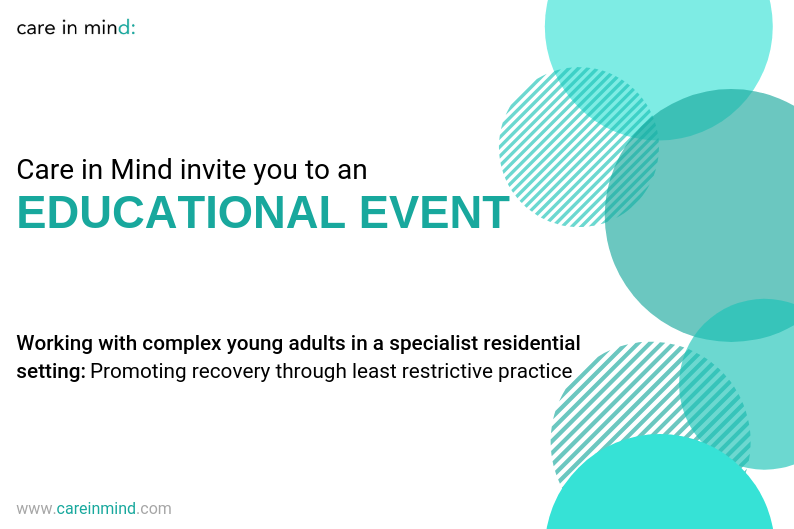 The event is for anyone working with young adults with complex needs and mental health presentations including social workers, case managers, clinicians, community teams, commissioning teams and mental health practitioners. Places to this event are free of charge, but are limited and so will be allocated on a first come, first served basis. To register for a place or to find out more please email Emily Bentley on ebentley@careinmind.com or call 0161 638 3285.